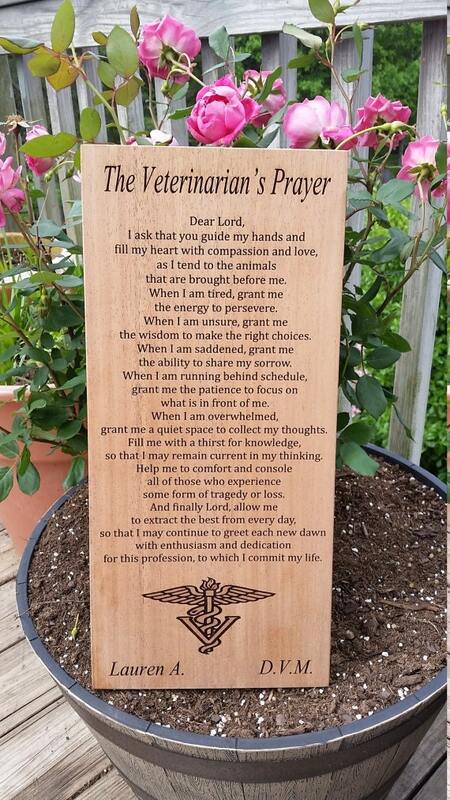 Looking for a beautiful gift for the veterinarian in your life? Why not gift him or her with one of our most popular Veterinarian gifts this holiday season and through out the year? This beautiful plaque is made from solid Mahogany from rough saw wood. We plain it, cut it, sand it, router the edges, make the key hole and engraved with our laser machine. All of it is made with lots of price and exceptional craftsmanship.